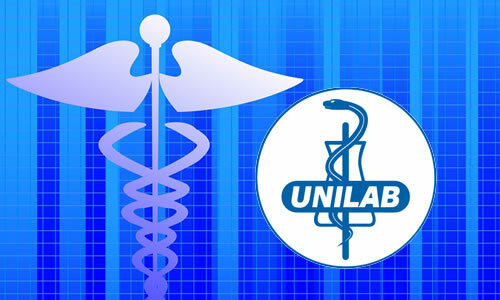 The information below contains the list of all the Unilab products or medicine that you can use or take in case of "Muscle and Body Pain". Please refer to the list below for more details. Alaxan, Alaxan FR Tablet and Capsule Ibuprofen + Paracetamol (Alaxan and Alaxan FR) is used for the relief of mild to moderately severe pain of muscoskeletal origin such as muscle pain (myalgia), arthritis, rheumatism, sprain, strain, bursitis (inflammation of the fluid-filled sac or bursa) that lies between a tendon and skin), tendonitis, backache and stiff neck. Ibuprofen + Paracetamol (Alaxan and Alaxan FR) is also used for the relief of tension headache, dysmenorrhea, toothache, pain after tooth extraction and minor surgical operations. Ibuprofen + Paracetamol (Alaxan and Alaxan FR) is effective for fever reduction. Dolfenal Film-coated tablet For the relief of mild to moderate pain including headache, dental pain, pain after childbirth or surgery, primary dysmenorrhea, and menorrhagia (heavy menstrual period) due to dysfunctional causes. For the relief of pain associated with muscoskeletal and joint disorders including osteoarthritis and rheumatoid arthritis. Juvenaid Powdered drink Juvenaid is a nutritional drink for the dietary management of patients who are fatigued due to surgery or needs to build-up lean body mass. Lean body mass is vital for recovery, tolerance to therapy and helps to resume normal daily activities. Medicol Advance Softgel Capsule For the relief of headache; For the relief of toothache, muscular aches, minor arthritis pain, backache, minor aches and pains associated with the common cold, and pain of menstrual cramps (dysmenorrhea); For fever reduction.